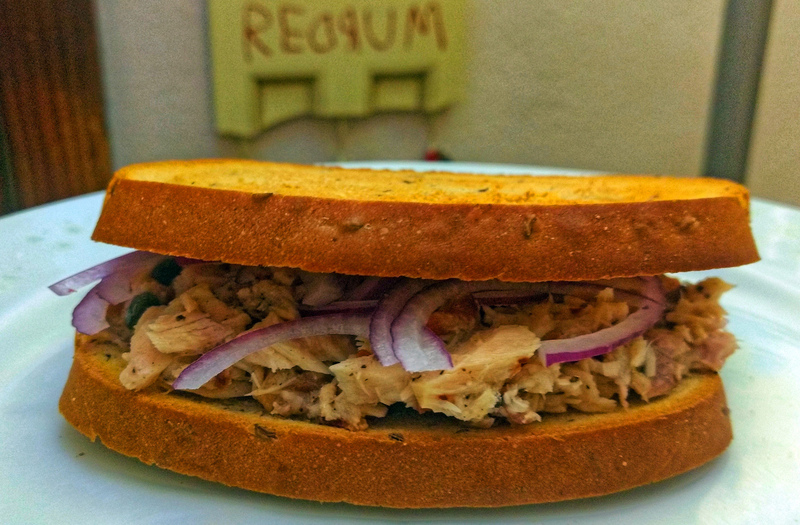 Tuna can be pretty scary, especially when it’s riddled with this much flavor. Olive oil helps contrast the lemon juice, which gives standard tuna a new, fresh bite to liven up your day. Capers bring a sense of earthiness, in their first appearance on the site, while red onions and toasted rye give a texture that you desire with something so traditionally soft. Don’t eat this in a hotel during the winter. Don’t go mad. Don’t try to murder your family. Just chill out and enjoy.